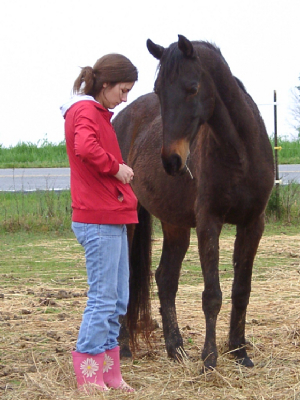 When Midnight Sun arrived at the sanctuary, she was very thin and frightened. She would not leave the safety of the barn. After months of working patiently with her, she learned that it was safe to venture out into the pasture and graze with the other horses. These days her sponsor can call her name and Midnight Sun will come trotting around the lake to meet her. 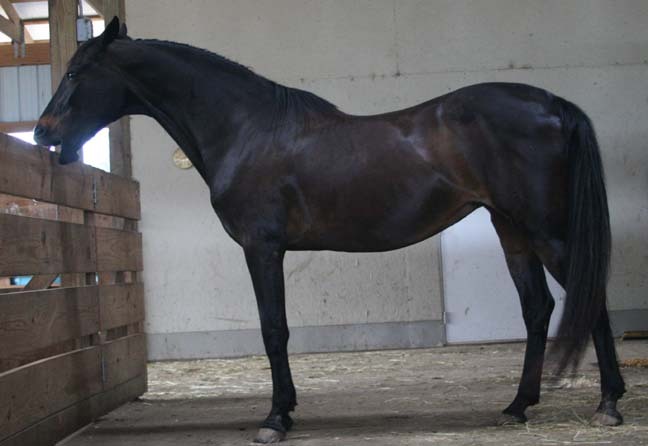 Midnight Sun is in excellent physical health, but we feel that she will not ever be rideable due to the emotional scars she bears from her life with her previous owner. 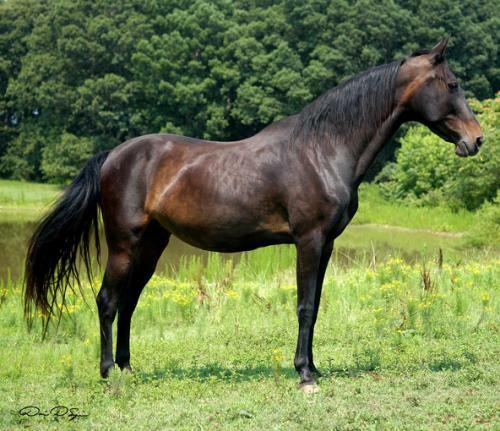 Her previous owner claimed to have ridden Midnight all the time, but also said that she couldn't get near Midnight to feed her because she was aggressive and would try to kick and bite her. Her HPS sponsor worked with her for several years to be able to ride her off the sanctuary property. However, Midnight has refused to accept any new riders. We feel that she cannot be safely ridden, and will be placed only as a pasture pal. Anyone who takes her will have to promise not to attempt to ride her. Midnight Sun is in excellent health but injured her lower back. Her sacral vertebrae have been compacted but this does not affect her abilty to get around and enjoy a wonderful life. She has good ground manners and is one of the farrier's favorite horses to trim. She is a loner but loves the attention of humans.